Are you a carer for a friend or relative? Do you need advice on claiming benefits or accessing support? A series of information and advice days next week will highlight the help available to carers across County Durham. 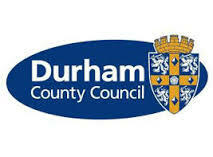 The sessions have been organised by Durham County Carers Support (DCCS) to mark Carers Rights Day on Friday, 28 November. Visitors will be able to find out more about a range of subjects including benefits, healthcare and housing. Representatives from DCCS, Durham County Council’s Welfare Rights team and Equipment Advice Service and the Citizen’s Advice Bureau will be on hand to answer questions. A special session for young carers, organised by Family Action, will take place at Butterwick Hospice, Bishop Auckland, between 10am and 1pm on Friday, 28 November. For more information, contact Durham County Carers Support on 03000 051 213.